I'm not pleased with this product at all. Within 1 week, it had already tarnished and now I am breaking out from it. I figured since many people have life threatening allergies and medical conditions ALL these products would be safe to use. Not the case for me. The program was easy to enter all the data. The bracelet is easy to put on and remove by myself. My doctor noticed it and I explained what it was, and she was amazed. Hadn't heard of such a thing. She's going to promote it. Many friends have asked for information too. Love the concept, love the bracelet. I've tried this bracelet in addition to two other bracelets. Great idea, but a waste of money. Every one of them fell off my wrist and were lost. You need to make a bracelet that is more secure! 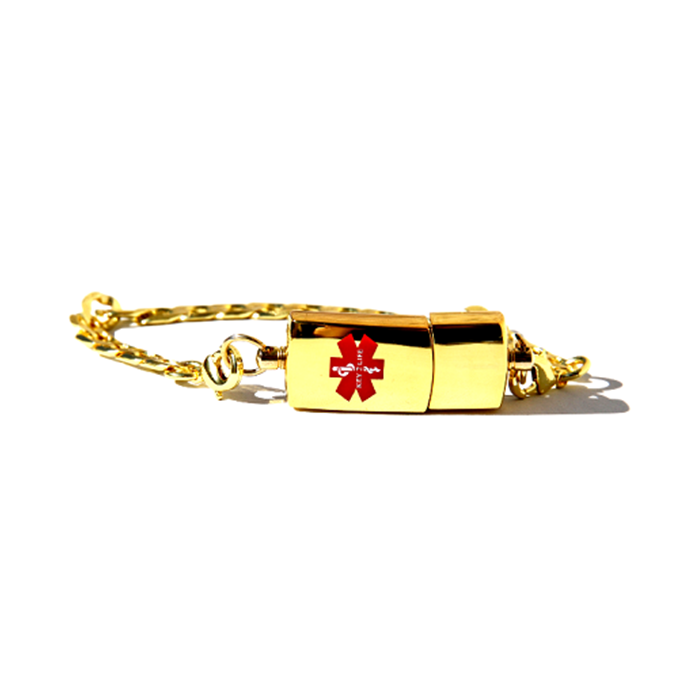 My husband currently has a gold ID bracelet, but there really isn't enough room to have all of his important information engraved on the bracelet. This bracelet seemed ideal. 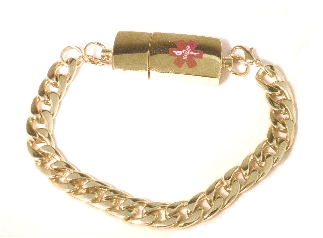 Unfortunately, the clasp on this bracelet was loose and would not stay closed. I sent it back, and the repair was made quickly. I do think this is well priced, however I would be very happy to spend considerably more on a bracelet that is jewelry quality. I like the bracelet. 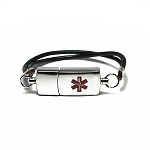 The medical alert symbol should have been engraved on to the bracelet. In the short time that I have had it the symbol has started wearing off. 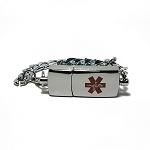 The symbol should be available for Medical personnel to see especially if I am unable to tell them. Was easy to use. My wife says it looks great. Excellent product! Nice bracelet, easy to use. Showed it to my cardiologist. He's going to recommend it to his patients. Software is very primitive, not easy to use. Bracelet is heavy. 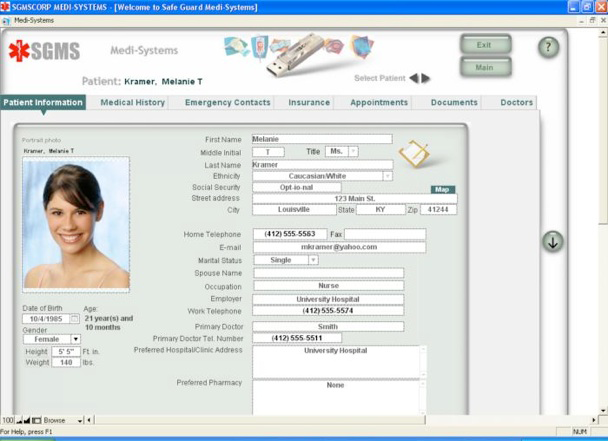 The software on the CARE product is much better and easier to use.